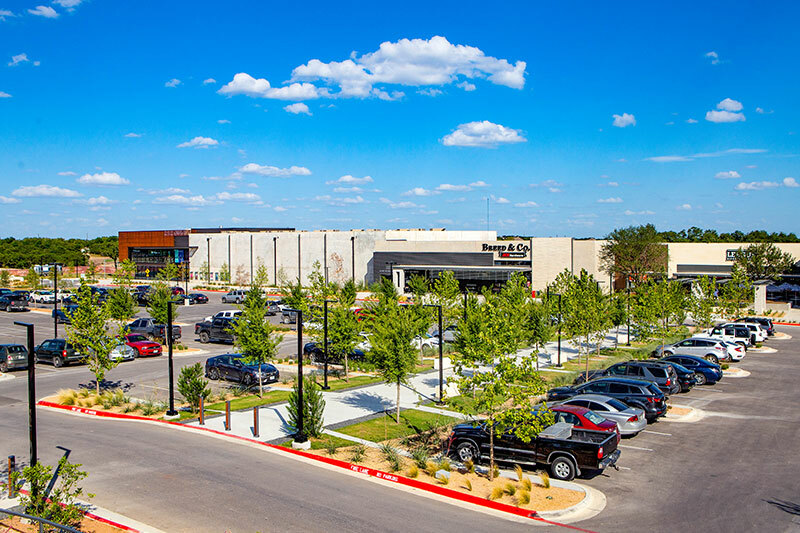 As master-planned communities increase in popularity, Central Texas is becoming a natural home for these large-concept development projects loaded with desirable amenities. 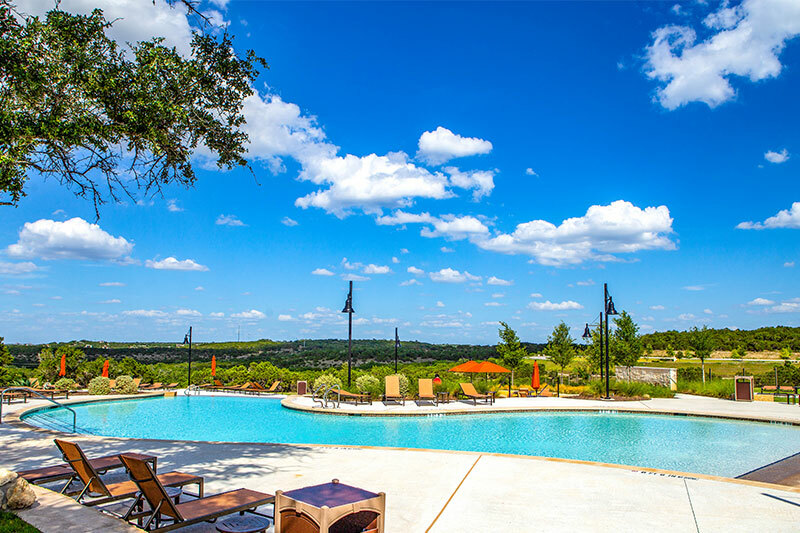 One such community recently emerged in Dripping Springs, featuring prime Hill Country views, homes pre-built by acclaimed design teams, private parks and hiking trails, a recreational complex, and a split-level pool. This residential oasis, known as Headwaters, is an excellent home for families with an interest in premium amenities, provides access to high-quality school districts, and it’s a mere 35-minute commute to Downtown Austin’s business district. Headwaters is the brainchild of Freehold Communities, a developer of master-planned communities with a bicoastal presence and three projects in Texas. With this particular community, Freehold hopes to appeal to people who work in Austin but want a peaceful small-town vibe for their home lives, along with world-class amenities to keep their families happy and comfortable. For its design merits and high livability quotient, Headwaters recently won a top Gold Nugget Grand Award for “Best Indoor/Outdoor Lifestyle for a Community” and also earned a finalist spot for the “Best Community Land Plan” at this year’s PCBC Golden Nugget Awards, an event created to honor excellence in community design, planning, and development. 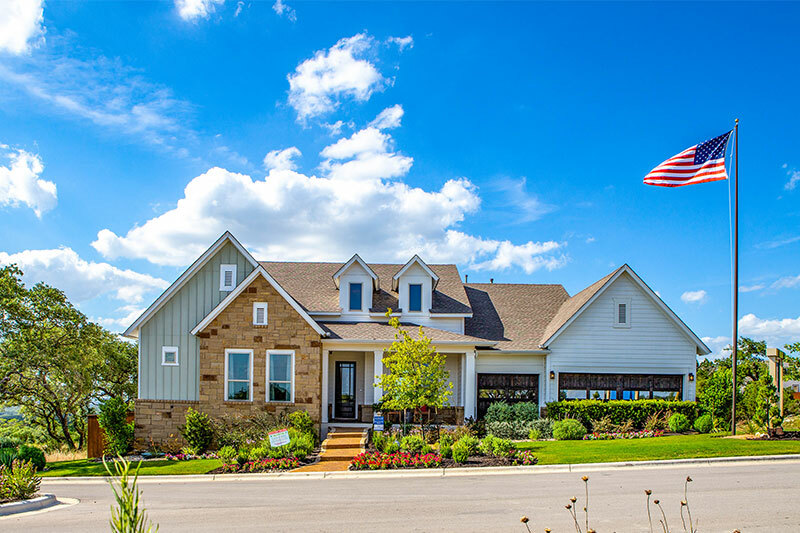 Headwaters features top homebuilders like Drees Custom Homes, David Weekley Homes, Trendmaker Homes, and Dream Finders Homes to craft specially-designed homes for a variety of homebuyers. Buyers can opt for either a pre-built house or a customized home tailored to their specifications. Homes within the development range from 1,800 to 4,200 square feet, and have three to five bedrooms and two to five bathrooms. All properties come with landscaped lawns, and Freehold’s construction ethos involves a commitment to environmentally-friendly materials and practices. Headwaters homes are priced starting in the mid $300,000s, with price increases dependent on customization and total size. Regardless of cost, however, all homes provide residents with access to the community’s impressive repertoire of amenities. Because Headwaters hopes to attract a community-minded population, it features a number of premium amenities designed to foster relationship-building and healthy living. The community’s focal point is the HW Central recreational complex. This clubhouse is open to all Headwaters residents and includes the ultra-mod HW Fit fitness center with spaces for group classes, top-of-the-line cardio and strength-training machines, and access to personal fitness trainers. 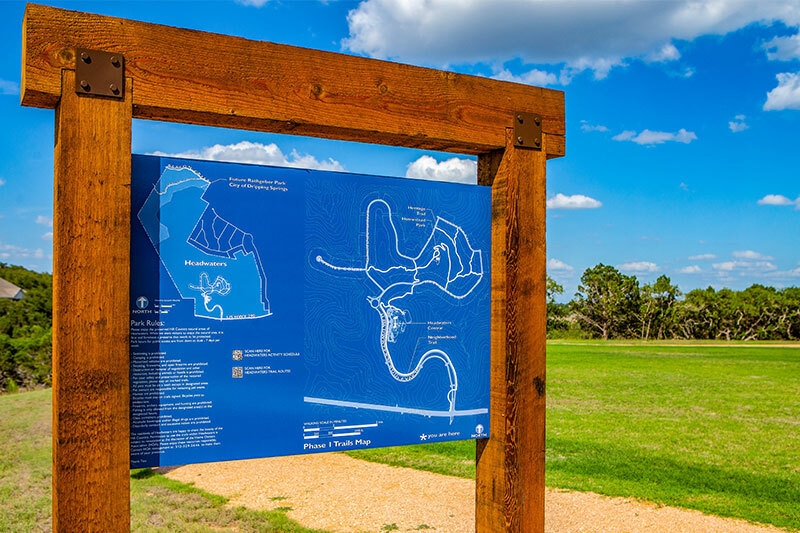 Those who prefer to take their workouts outdoors will enjoy HW Central’s trail network with Hill Country vistas and Barton Creek views, a split-level pool and water playground, and an athletic play field. HW Central also houses an event space with a curated year-round program of shows and activities, along with Homestead Park and Headwaters Park—two outdoor recreational areas with croquet lawns, an amphitheater designed for stargazing (linked to Dripping Springs’ designation as the first Dark Sky Community in Texas), and plenty of room for picnicking. Residents looking for a convenient workspace will find it at the HW Central Hub, with plenty of table space and high-speed WiFi. If you’re moving to Headwaters with kids, you’ll be glad to know that Dripping Springs offers excellent public schools. Dripping Springs High School has a graduation rate of 99 percent, and in 2017 it earned a spot on U.S. News and World Report’s ranking of the nation’s top high schools. A quintessential Hill Country town with both rustic charm and urban amenities, Dripping Springs makes an excellent home for people who want easy access to Austin without the headaches of city living. A 25-mile drive down US-290 gets you from Austin to Dripping Springs, and once you reach this town of approximately 3,000 residents, you’ll find plenty to keep you there. Central Texas is generally considered a hotspot for small-batch distilleries, and Dripping Springs boasts a number of places to see booze made. Deep Eddy Vodka, Trusty Oak Bourbon and Rum, and Crystal Creek Moonshine all have tasting rooms and tourable distilling facilities in Dripping Springs, and if you prefer beer and wine to hard spirits, this town has plenty of wineries and breweries too. While Headwaters has many onsite outdoor attractions, Dripping Springs also features plenty of other natural sights, like the popular swimming hole at Hamilton Pool Preserve and the rock-climbing oasis in Reimers Ranch Park.